5.Fundamental researches in solar, thermal, and electric energy conversion and transport mechanism. Jinwei Gao is currently Professor of South China Academy of Advanced Optoelectronics at South China Normal University. He received his master degrees from Chemistry Department, Xiangtan University, China, in 2006. After that, he moved to South China University of Technology as a Ph.D. candidate. In spring of 2007, he was interviewed by Professor Gang Chen as a Joint Ph.D. candidate to receive a scholarship from China Scholarship Council (CSC). He joined Professor Chen’s group in September 2007, until the end of 2009, he returned to China and obtained his PhD degree. He was an associate professor at South China Normal University from 2010, and was promoted to full professor in 2015. 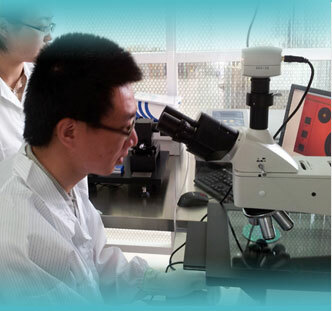 Prof. Gao’s research interests center on optoelectronic materials and devices, especially in flexible transparent conductors and the applications in modern electronics, such as, solar cells, display and sensor. He has made important contributions to the emerging nanomaterial in ITO replacement, such as cracking metallic networks, fractal metallic networks, and nature inspired electronics. He and his collaborators exploited the unique fractal structure and the transport physics to advance the field of transparent conductors and their applications in solar cells and displays. His group also developed strategies to engineer nanostructures to achieve high efficiency perovskite solar cells, 3D fractal and hierarchical structures in water splitting and special concept for steam generation. By exploring those micro/nanoscale transport phenomena, Prof. Gao’s group is advancing a wide range of technologies such as cracking metallic transparent conductor, fractal and stretchable transparent conductor, and high effective perovskite solar cells. 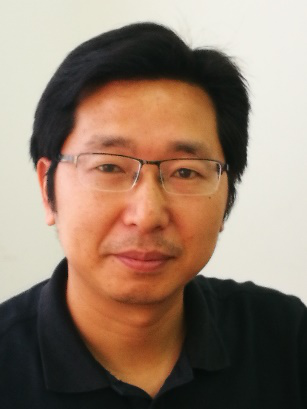 Prof. Gao published more than 70 technical articles, including Nature Communications, Advanced Materials, Advances in Physics etc. He has over 25 granted and pending patents. More than 70 technical articles, including Nature Communications, Advanced Materials, Advances in Physics etc. Over 25 granted and pending patents. More than 7 million in recent 5 years, including NSFC，Guangdong Science and Technology funding, Renovation team etc. Referee of Advanced Materials, ACS Nano, Advanced Functional Materials, Advanced Energy Materials etc. More than 40 journals. Asia Communications and Photonics Conference (ACP), Guangzhou, on November 10-13, 2017. Co-chair for Track 7: Photonic for Energy. Jinwei Gao, Boosting the figure of merit of ribbon based metallic networks by electroplating, International conference on flexible and printable electronics, 6-9 September 2016, Yamagate University, Japan. Oral talk. Jinwei Gao, Flexible transparent condutors, Forum of understanding on Nanomaterials and their interdisciplinary applications, 3-5 June 2016 WARSAW, Invited talk. Jinwei Gao*, Submicro-metallic networks as a high perfermance transparent conductors, 2015 Flexible and printalble electonics (全国第五届柔性与印刷电子研讨会（（FPEChina2015, Suzhou, China, Oral. Jinwei Gao*, Low-cost Subwavelength metallic network as a high perfermance transparent conductor, 2015 Internatioal conference for top and emerging materials scientists(IC-TEMS 2015), 19-22 July, Lijiang, China, Invited talk. Jinwei Gao*,Solution-Processed Metalic network as high performance transparent conductive electrode, International workshop on thin-films for electronics, electro-optics,energy and sensors (TFE3S), 4-6 July, 2015. University of Dayton China Institute, Suzhou, China. Session Chair and invited talk. Jinwei Gao*, Solution-Processed Metallic Network as a High Performance Transparent Conductive Electrode, MRS, 1-5, December 2014, Boston (US), Poster. Jinwei Gao*, Metallic Networks for Optoelectronic Applications, Progress in Electromagnetics Research Symposium (PIERS), 25-28, August 2014, Guangzhou (Canton), China, Sesstion Orgnizer and invited talk.